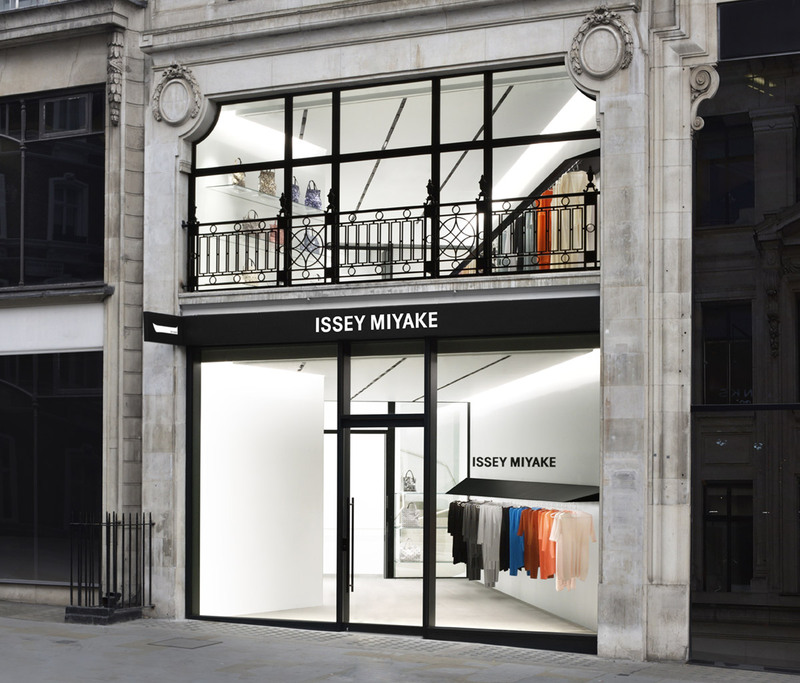 ISSEY MIYAKE / LONDON 33 BROOK | ISSEY MIYAKE INC. The flagship store on Brook Street in Mayfair, London features multiple brands. The three floors of store space were designed by Tokujin Yoshioka. The unique design has a minimalist look with 12m of steel hanger rails in a cutting-edge triangular shape. The contrast between the historic building and up-to-the-minute interior sets this store apart.